Legends of Tomorrow season 4 episode 12 preview: Can Sara save Ava? Next week, Legends of Tomorrow season 4 episode 12 comes bearing a significant challenge. Not only is it going to have to live up to the immense hype of tonight’s “Séance & Sensibility” — Bollywood number included — but it’s also going to have to further continue along some of its story threads. That includes the newfound exploration into Zari’s personal life and also the larger struggle that remains at the heart of this season. 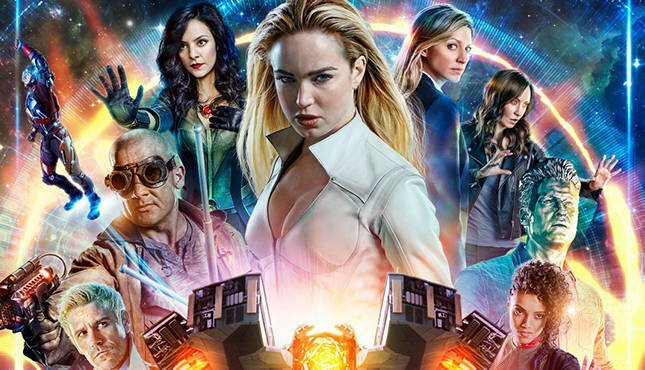 Do we think that Legends of Tomorrow has a Big Bad problem, namely in that none of their adversaries save for season 2 are altogether exciting? Sure, but it’s able to compensate a lot for it with hijinks, humor, craziness, and on this upcoming episode, some fascinating stories about relationships. You also have the title of “The Eggplant, the Witch, and the Wardrobe,” which brings us to an all-important observation — who all out there actually thinks of the eggplant emoji more so than an actual eggplant when the name is mentioned? At this point, it’s hard to remember that eggplant is an actual thing … though we also write this as someone who really has not had much eggplant over the course of their life. YOUR PERSONAL HELL – With darkness on the rise in 2019, the team realizes that a new host of problems have risen as they have been cleaning up history. Sara (Caity Lotz) tries to save Ava (Jes Macallan) from a fate worse than death while battling her own demons. Nora (Courtney Ford) and Constantine (Matt Ryan), work together to take down a powerful demon. Meanwhile, Zari (Tala Ashe) gets unsolicited advice from Mona (Ramona Young), Charlie (Maisie Richardson-Sellers) and even Rory (Dominic Purcell). Brandon Routh also stars. Mairzee Almas directed the episode written by Morgan Faust & Daphne Miles (#412). Original airdate 4/22/2019. After reading this, we do have a fabulous mention image of Zari sitting down and receiving rather-terrible advice from a whole host of different characters almost like they are all taking their turn pretending to be therapist. This could prove hilarious, but hopefully, there is something precise and worthwhile coming at the end of it. Based on the info we’ve got on the surface here, let’s hope that this Legends of Tomorrow episode is creepy, but also still imaginative and funny. As we get closer and closer to the finale, there are more specific questions you can ask. For us, the #1 thing is if there is a way for this show to top Beebo — the great blue god has a giant footprint (literally, based on the season 3 finale), and one that is not going to be easily topped. Want to get some more news when it comes to Legends of Tomorrow? Then remember to visit the link here right now!